Putting your loved one in a nursing home can be a tough decision. Nursing homes in greater Buffalo are obliged to provide the best possible care to residents, but they do not always meet that obligation. The risk of nursing home abuse and neglect may leave you concerned about the level of care your loved one will receive. A recent case of alleged sexual abuse involving a nursing home resident has prompted New York state officials to launch an investigation into a Buffalo nursing home. The perpetrator at the time of the incident was an assistant director of nursing, who has since resigned. Officials from the nursing home were unable to provide any information regarding the incident. The former assistant director of nursing claims that he was assaulted by the resident, while the resident claims to have been bitten by the former staff member. Without any crucial evidence, both statements are hearsay. 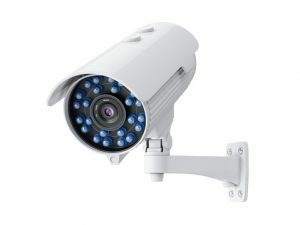 However, had camera equipment been installed at the time of the incident, the footage would have told the real story. Back in February, camera footage was used to prosecute three nurses responsible for the death of an 89-year-old resident in Georgia. As the resident called out for help while suffering from respiratory distress, the three nurses were seen laughing and completely ignoring the man’s needs. However, the above statistics may not represent the full number of residents who suffer abuse and neglect. Many of these incidents go under the radar because residents are afraid or unable to report them. When placed in the care of a nursing home, your loved one may be all but defenseless. That’s why it’s important to document incidents of abuse and neglect, especially if you suspect that something isn’t right. If your loved one is afraid to speak up, or if nursing home staff deny that any abuse or neglect has occurred, camera footage doesn’t lie. Not only can video footage be used to prosecute responsible parties, but your attorney can also use it as evidence in a lawsuit against the nursing home. That’s why your first course of action should be to consult with an experienced Buffalo nursing home abuse attorney who will fight aggressively to help you and your family seek justice. It’s important you act fast. The statute of limitations for nursing home abuse cases in New York State is three years. Don’t hesitate to contact the Law Offices of James Morris and find out how we can help you. Many studies focus on the hazards of driving drunk in Buffalo, and further about how this can heighten the risk of pedestrian accidents. What tends to get less attention is how dangerous impaired walking can be for pedestrians. Whether you’re walking or driving, alcohol consumption can cause delays in judgement. How prevalent is the risk? Recently, The Washington Post reported more than one-third of pedestrian accident victims killed in 2016 were over the legal limit of alcohol for motorists, according to the National Highway Traffic Safety Administration. That’s a significant increase – from 300 in 2014 to 2,000 just two years later. Of course, there is nothing illegal about walking impaired; it’s certainly much safer than driving. However, those who walk while impaired are more likely to engage in dangerous actions like crossing outside of a crosswalk, crossing against the signal, walking in the roadway and stepping directly in front of traffic. Alcohol impairment inevitably affects one’s reaction time and overall judgment, sometimes resulting in poor decision-making. Some traffic safety experts say many of those who are walking while intoxicated fail to consider whether or not drivers can see them. A study conducted by the Insurance Institute for Highway Safety notes that it’s not just total pedestrian accidents that have increased in recent years. Deaths in particular have increased, climbing 54 percent in urban areas. These fatalities are more likely to involve the larger-model sport utility vehicles. The IIHS said one of the biggest problems is that roads aren’t designed with pedestrians in mind, lacking crossing locations that are both safe and convenient. This can spur walkers to risk running across multiple lanes of traffic rather than walking long distances to the nearest signalized intersection. 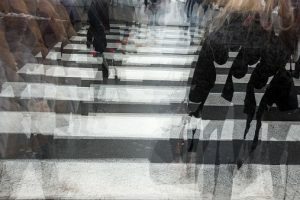 The addition of more sidewalks, pedestrian-activated beacons, street lighting, and pedestrian crossings have been shown to reduce pedestrian deaths. If you have been injured in a pedestrian accident, an experienced attorney can help. Contact the Law Offices of James Morris to discuss your options.